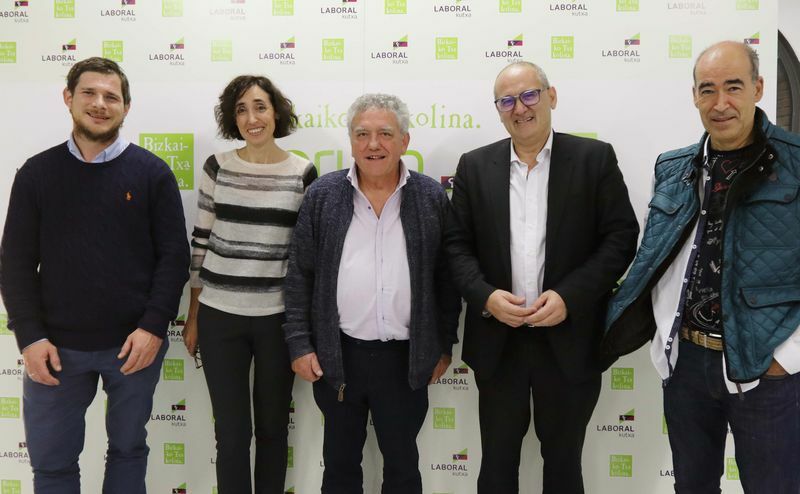 On 12 November the third edition of the Bizkaiko Txakolina (Txakoli of Biscay) Laboral Kutxa Forum was held at the Bilbao Azkuna Zentroa and which has proven yet again to be a great success, both as regards the event contents as well as attendance. . The Master of Wine, Pedro Ballesteros and Amaya Cervera, journalist and founder of the Spanish Wine Lover website, made their respective presentations underpinned by the wine tasting of six wines in each case. Ballesteros supervised a tasting of six original wines from around the world, whilst Cervera selected six Spanish Atlantic wines. Both the selection of the wines as well as the content of the presentations were extremely interesting for an audience of approximately a hundred attendees, made up of Bizkaiko Txakolina (Txakoli of Biscay) winemakers and producers, professionals in the hospitality sector, among whom were renowned sommeliers, and specialised press. Pedro Ballesteros underscored in his presentation the diverse formulas used in various Denominations of Origin worldwide, for the development and marketing of their respective wines. The Master of Wine reviewed various French, Italian, German, Greek and Australian denominations of origin (DOs), in order to illustrate the diverse solutions applied to different problems and which have been quite successful.